I solemnly dedicate myself to aiding animals and society by providing excellent care and services for animals, by alleviating animal suffering and by promoting public health. I accept my obligations to practice my profession conscientiously and with sensitivity, adhering to the profession's Code of Ethics and furthering my knowledge and competence through a commitment to lifelong learning. 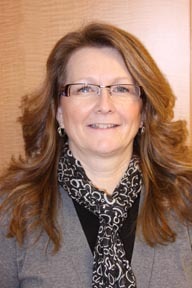 Theresa graduated from the University of Wisconsin-River Falls with a Bachelors degree in Animal Science with an emphasis in Veterinary Technology and Madison Area Technical College with an Associates degree in Veterinary Technology in 2009. She started working at Cedar Grove Veterinary Clinic shortly after graduating. Theresa enjoys surgery and anesthesia. Outside of the clinic she spends time reading, crocheting, taking photos, as well as riding her motorcycle, four-wheeler and snowmobile. She is also a 4-H leader. She has three cats named Jessie, Jude and Socks as well as two dogs named Lucy and Lucky who likes to go four-wheeling with her. Krissy was born to work with animals. She grew up showing dogs and horses in 4-H and volunteering at a shelter. She worked at a Humane Society, a dairy farm and a horse camp before graduating from Mississippi State University with her Veterinary Technology degree and becoming certified in 2002. She then worked 5 years at Cedar Grove Vet. She returned in 2014 after being a stay at home mom to her 4 young daughters. Krissy’s special interests include client communication and small breed dogs. She lives with her husband, children and her three legged Chihuahua, Alexa, a German Shorthair Pointer puppy named Daryl and 2 orange tabby cats. She enjoys marathon running, photography, backpacking and camping. Holly had been working as a veterinary assistant at Cedar Grove since 2009. In 2014 she became a Certified Veterinary Technician and certified Sliver in Dr. Sophia Yin's Low Stress Handling. She is also a P-K Academy instructor. Her interests include behavior, dentals, physical rehab, and large animal. In her free time she enjoys camping, racing, horseback riding, sewing, and Zumba. 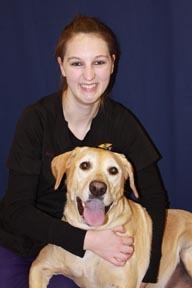 She greatly enjoys working with Labradors and spending time with her yellow lab Molly Sue. for her two cats. One fun fact about Katheryn is that her nickname is Sam. 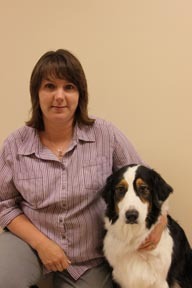 Becky Gartman has been a technician assistant at Cedar Grove Veterinary Services since 2005. She enjoys working with all type of animals. 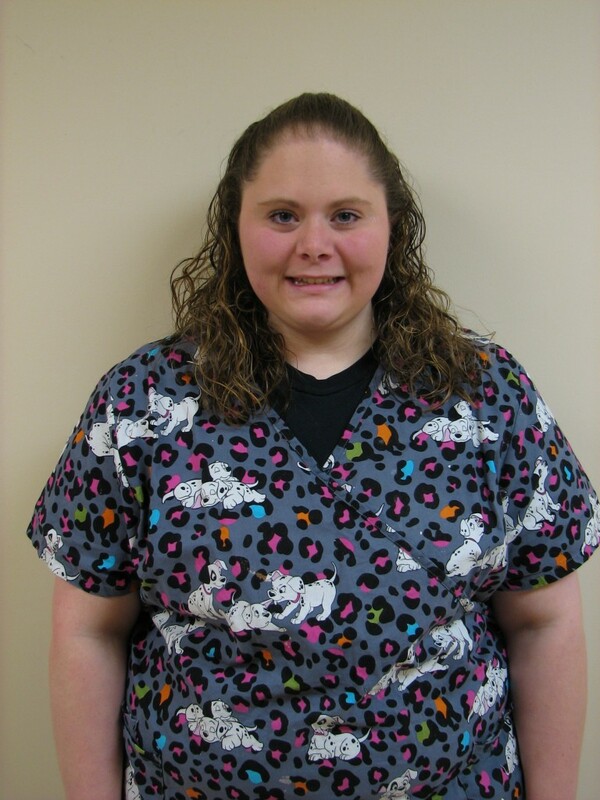 Becky enjoys behavior training, dental hygiene cleanings and wound care. She lives on a dairy farm with her husband and children. 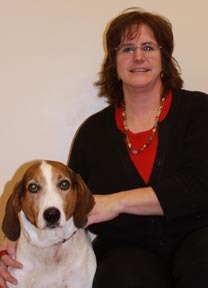 When she is not working, Becky enjoys training her dogs and instructing classes at the Sheboygan Dog Training Club. Becky is also a 4-H leader and takes care of many animals including her dog Pancho, cats, horses, goats, rabbits and poultry. 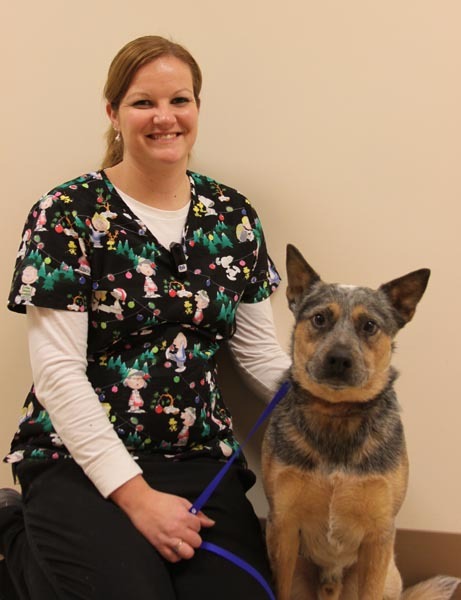 Heather Lammers started at the clinic in August 2013 as a Veterinary Technician student from San Juan College and in December of 2013 she joined our team as an employee. She has graduated from San Juan College with a Veterinary Assistant Degree. Previously she also graduated from Lakeshore Technical College with a degree in Dairy Herd Management she also became certified bovine A.I. Heather is also the Sheboygan County Rabbit Ambassador; raising and breeding rabbits for several years. Heather and her boyfriend own a white Boxer names Kaleio together. She enjoys client education, working with the clients in the exam rooms, lab work, food nutrition, dental health, and helping with the bond between animals and humans. Outside the clinic she enjoys spending time with her boyfriend, pets, going out with friends, working on her house and yard, four wheeling, going to concerts, helping with 4-H rabbit project, and helping on her parent’s dairy farm. 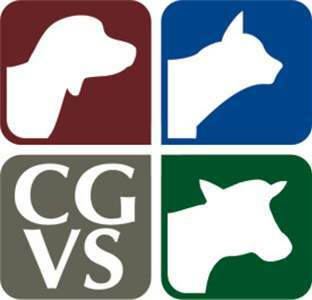 Gail joined the Cedar Grove Veterinary team in February of 2001. She is a member of the office staff and is responsible for completing reports, accounts receivable, client correspondence, taking phone calls and scheduling appointments. 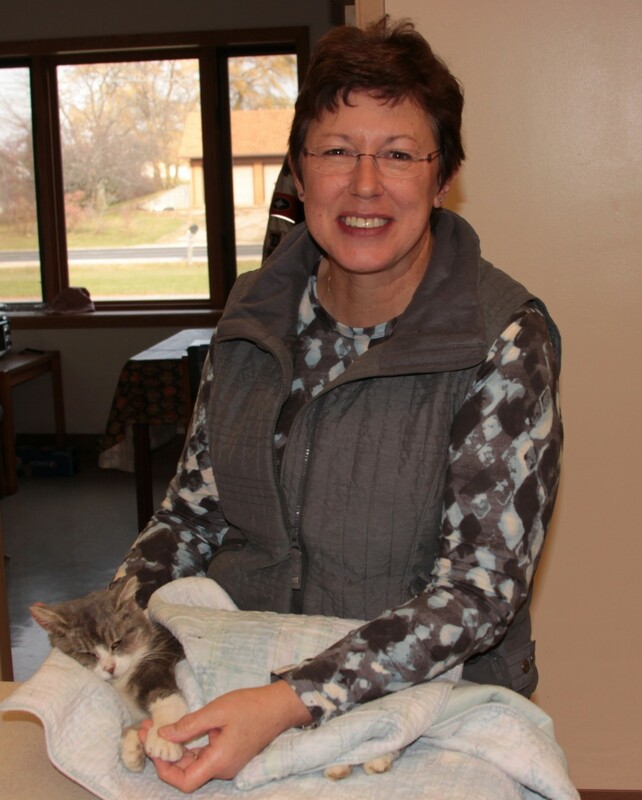 Gail has a lifelong interest in animal care and loves learning more and helping clients with their pets. Gail and her husband Jerry live with their cat Moe. Nancy has been with the clinic since 2003. She works full time in a variety of positions. In the business office she helps with the accounts payable, billing and payroll departments. She compiles business reports, orders office supplies, answers phones and helps with large animal calls. Nancy also enjoys helping at the receptionist desk greeting clients and their pets. 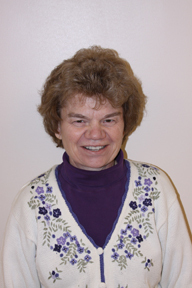 Ginny Schueller joined the clinic team in 2003. She is responsible for medical records computer entry. Ginny enjoys the farm life having spent many years on the dairy farm which is now operated by her son. Ginny also likes being with her family and grandchildren. Kris has been a receptionist since 2007. She likes working in an atmosphere that involves pets as well as people. In her spare time, she likes to be home with her husband and two kids. Kris also likes to spend time with her beloved animals Molly, Brett and Angel. Amy joined the clinic team in May of 2012. Amy has been working in the veterinary field since 1997, first as a veterinary assistant and now as a receptionist. 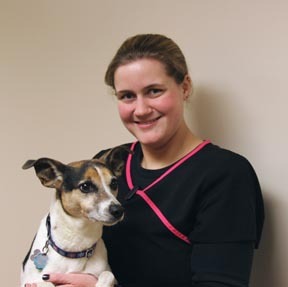 Her interests include animal behavior, dog training, and canine sports medicine. When she is not working she enjoys spending time with her fiancé and competing in agility, rally and obedience with her two Australian Shepherds. Hi, my name is Amanda. Nice to meet you! I am the oldest of seven children and am a proud Hingham resident. Some other random info on me is that along with being an avid dog lover, I am also a certified dog trainer. I love coffee, going to church, photography and my family. I have a dog named Oakley. That's pretty much me in a nutshell! Brunst and Caliente joined the clinic team after their long recovery from being in a barn fire on Father's Day 2014. They recovered exceptionally well and are as happy and healthy as can be. However, they sustained some minor non-life threatening injuries that make them all the more loveable. They enjoy helping and greeting the clients. They love to be petted, bird watch and play with their toys. Their favorite toys are crumpled up pieces of paper.